Hello everyone! Instead of a new card I am gonna show you my stamp storage today! I keep all of my stamps in Avery Elle stamp and die storage pockets together with a white sheet of paper. I also label them with a very old brother label maker - works great! Between the different brands I put a sheet of laminated ivory cardstock which I labelled with the name of the brand. In the front I keep my clear stamps. If I have sets which are smaller than a normal stamp set I put two or four sets together (depends on the size of the sets). However, the interesting things are on the other side of the pocket. If I have coordinating dies I store them on a magnetic sheet from Ellen Hutson. I also keep the paper from the packaging in order to keep all the masks which I created for this particular stamp set (I could use them again and can save a lot of work by keeping the masks). And for the images which I have already cut and colored I take a clear CD pocket. 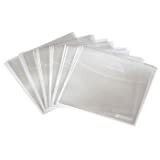 This is necessary in order to prevent the images from being scratched by the dies or from falling out of the pocket. If I don't have coordinating dies I keep the precut images without the CD pocket with my masks. For smaller stamp sets I use only one CD pocket per set to store all of the different things (dies, diecuts etc.). I hope this was interesting for you and I'll wish you a wonderful day! Hi there!! It's Lawnscaping time again :) The topic of the 124th challenge is 'Celebrate!' 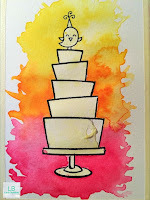 and because I haven't used the 'Bake me a Cake' stamp set very often I chose this one for the challenge. I started out by stamping the cakes onto a watercolor paper and used a piece of scratch paper in order to mask off the layers and position them at an angle. 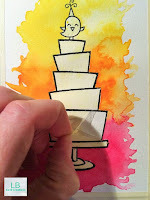 I also stamped the little birdie from the 'Year Four' stamp set on top of the cake and the plate from the set. I also scattered sparkling clear sequins from Pretty Pink Posh and used double-sided adhesive and fun foam to adhere the watercolor paper to a yellow card base. This time the sentiment is on the inside of the card. I used the 'Year Three' stamp set and archival jet black ink. Hello! 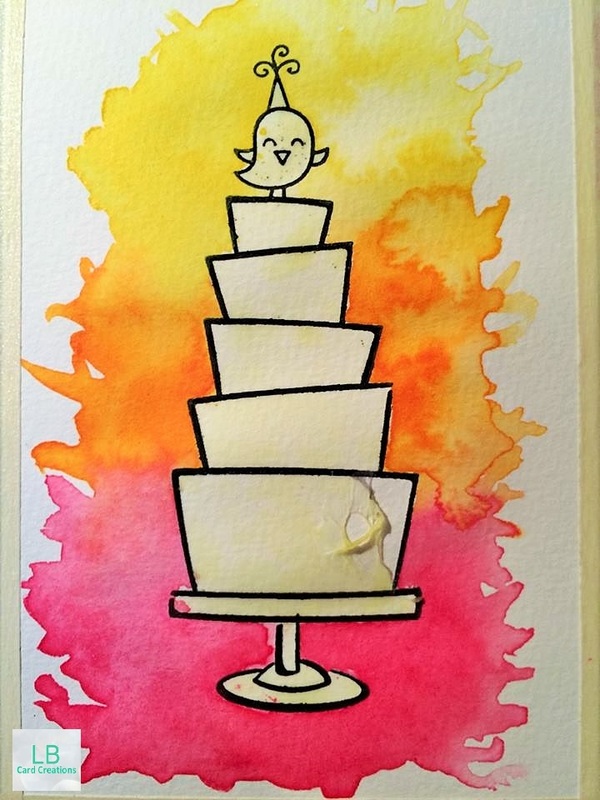 Today I have a very simple and quick birthday card to show. I am always running out of birthday cards, especially for men so I wanted to make a quick design which fits both for women and men. First of all I cut a piece of watercolor paper to about 3.5 x 4.8 inch (9 x 12.2 cm) and colored it in with shabby shutters distress ink (i just used a large paintbrush, water and the distress ink). After letting that dry I stamped the cupcake from 'carnival cupcakes' from Mama Elephant with Archival jet black ink. I jused masking paper to build that cute cupcake. After that I also stamped some images from the 'little edibles' stamp set. To fill the images with color I used the ink smooshing technique: I squeezed the twisted lemon distress ink pad to a laminated sheet of paper, added a small amount of water, picked that up with an Avery Elle stamp and die storage pocket and pressed it down. By using that method you can easily control the distress color. For the sentiment I die cut the 'happy birthday border' from Lawn Fawn from black glitter paper. Before I die cut the sentiment I had added stick it paper. Because of that I had no problems adhering the sentiment to the background. For the finishing touch I used the 'all prettied up' die set from Mama Elephant and adhered the watercolor paper with foam tape to the diecut white paper. Thank you for stopping by and I'll be back soon! Hello! Here I am - with another Valentine's Day card for the Lawnscaping challenge #123 Sending Love. I really like the 'hedgehugs' mini stamp set from Lawn Fawn from the Valentine's Day release last year, I think. 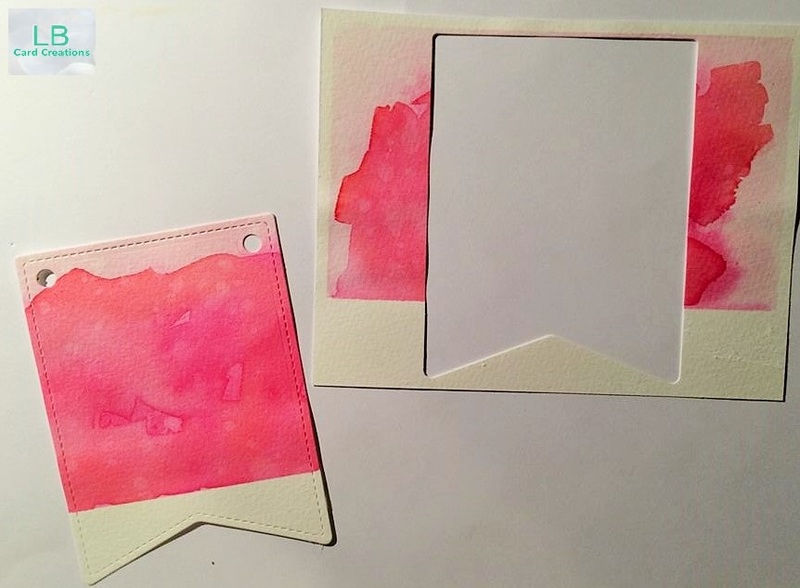 I startet by creating a watercolor background with the distress inks spun sugar, picked raspberry and candied apple. I masked off a stripe of the watercolor paper to color it in with hickory smoke distress ink after die cutting the smaller one of the 'stitched party banners' from the watercolord background. After that I prepared another background with spun sugar ink. I sprinkled some water droplets on both of the pieces to create more interest. While letting them dry I stamped the cute hedgehogs with Archival jet black ink and colored them in with distress inks which I put on my acrylic block in order to pick it up with a water brush. For the hedgehogs I used the colors antique linen, tattered rose, ground espresso and gathered twigs. From the banner shape I die cut a nice heart using the new 'dotted details' die from Mama Elephant. For assembling the card I adhered the background paper to a 3"x4" sized card and added a small piece of the grey Let's Polka paper where the die cut heart will be. Then I used some white and grey twine to make a cute little bow at the top of the banner shape and adhered the whole piece to the background with foam tape. Last but not least I added the hedgehogs, some Pretty Pink Posh sequins and the sentiment which is included in the mini stamp set.